Today we’ve got another recipe with South of The Border flavors, but today’s isn’t quite as ‘authentic’ as our Papusas with Salsa Roja from last week. 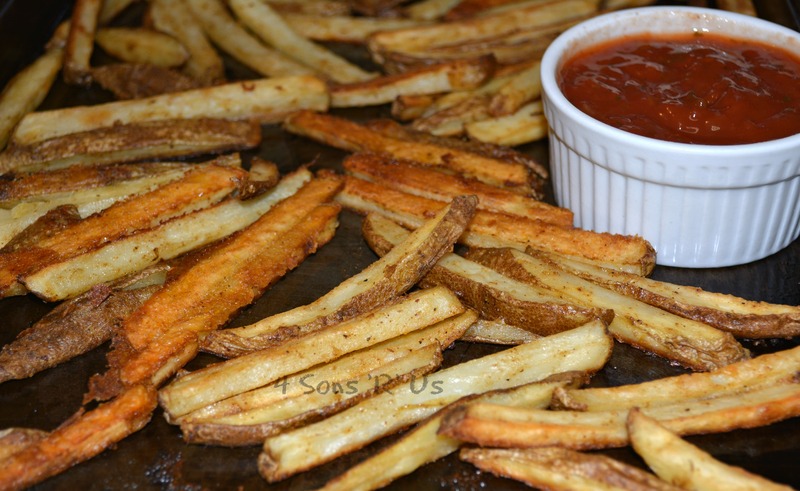 We love a good fry recipe. The crispier the better! And while I often use store bought frozen fries, I always keep a bag or two of a variety of potatoes on hand for those times when I’m craving a little something down-home and starchy, and I’ve got the time not only to make it from scratch, but also to do a little bit more. These Mexican street fries fit the bill perfectly. Sliced thin, so they are extra crispy, and seasoned to fiesta-flavored perfection they’re the perfect embodiment of technique and flavor working hand in hand. Pair them with the salsa ketchup, for the perfect bit of heat and sweet. One bite, and you might just find yourself saying, ‘ole’! 1.Cut the potatoes into thin fries, no wider than 1/4 inch. 2. Add all of the ingredients except the cut fries to a large bowl and stir together until evenly incorporated. Add the fries and gently toss until they’re evenly coated. 3. Spread the seasoned potatoes out evenly over a baking sheet lined with parchment paper and bake them at 400 degrees for about 20 minutes. Toss and stir the fries, making sure to keep them in a single layer, and return them to the oven to bake for an additional 10 minutes. If you like crispier fries, then place them under the broiler at this point, just until they’re sufficiently golden and crispy. 4. To make the ketchup, stir the ketchup and salsa together in a small bowl. Taste it, you can leave it as is or add more salsa for more of that ‘salsa’ flavor, or add more ketchup for more of a ‘ketchup’ taste. Add in the hot sauce, to taste. 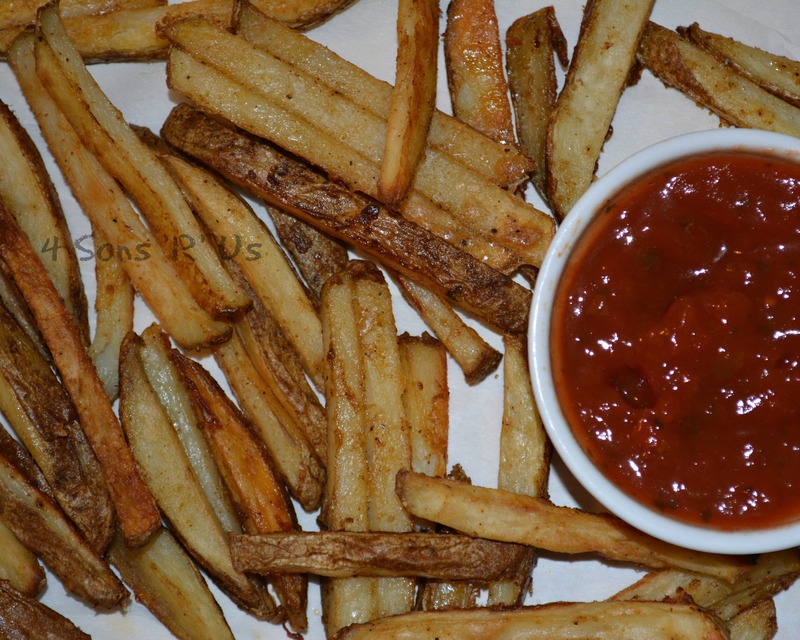 You can also add mayonnaise for a creamy version, a salsa ketchup fry sauce of sorts.